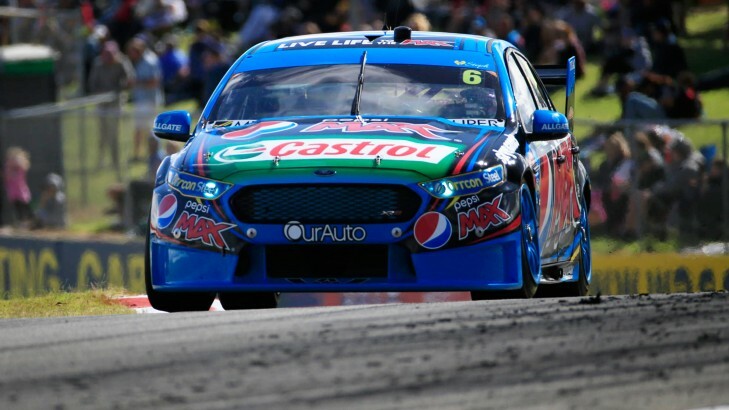 Pepsi Max Crew's streak of success continues at the UBET Perth SuperSprint, with last year's Sunday winner Chaz Mostert quickest in final practice. The 15-minute session is a pre-cursor to the ever-important qualifying session that follows at 12pm local time, and after claiming both ARMOR ALL Pole Positions and race wins yesterday, Mostert and teammate Winterbottom arelooking good. "It was good," Mostert, who recorded a 57.68sec lap in the session, said. "Not a bad set of hards on there, which is good for qualy. I can't wait to get out there... fingers crossed we can do something like last year." Yesterday's third place finisher Fabian Coulthard was just 0.055sec from Mostert, with Shane van Gisbergen, Winterbottom and Will Davison behind. Van Gisbergen had a moment with Jason Bright on track during the session, and there's plenty of focus on the Darrell Lea STIX Commodore after a risky strategy choice for this afternoon's 200km race. Dale Wood, David Reynolds, Ash Walsh, Scott McLaughlin and Craig Lowndes completed the top 10. Jamie Whincup - who finished second in yesterday's second race, but said he was almost embarrassed to be on the podium - was 21st in the session. Team boss Mark Dutton said Red Bull was looking for improved car balance ahead of this afternoon's race. A 20-minute qualifying session kicks off at 12pm local time.